LeBron James is the best player in the world and I have no problem with him saying so. LeBron James haters had a field day last night when King James declared that he’s not worried, he’s the best player in the world. Well, let’s get something straight. LeBron is the best player in the world. And it’s not even close. Sure Stephen Curry was the MVP of the 2015 NBA season, and Kevin Durant won the year before, but there should not be a doubt in anyone’s mind that King James is the best player in the world right now. Just take a look at this current NBA Finals. LeBron’s numbers are RIDICULOUS and Jeff Van Gundy was right that if James drags this Cleveland team to the title, it will easily be his biggest accomplishment of his career. 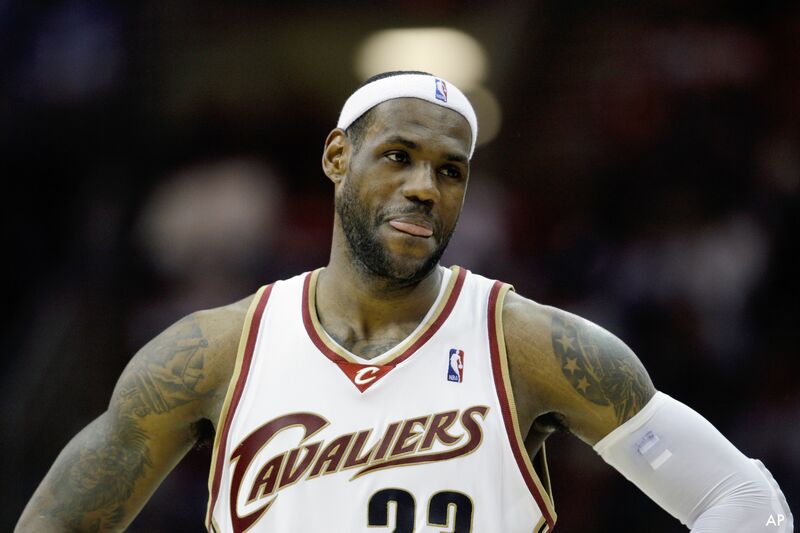 Heck, Twitter was going crazy last night declaring LeBron the NBA Finals MVP — even if Cleveland loses!! Now that we’ve established LeBron was telling the truth, we need to examine the bigger issue: his humility. Athletes are supposed to be humble and role models for young people. Confidence is great, cockiness is not. But I don’t mind LeBron coming out and saying it. Sure, it may be cocky, but he’s the only person on the planet that had yet to say it out loud. Every analyst, pundit, Monday morning quarterback and their mother have declared LeBron to be outrageously talented. So why can everyone else say it but him? Because social norms say he shouldn’t? Here’s the problem — social norms don’t apply to LeBron James. At least they shouldn’t. This is a kid who’s every word and move was scrutinized since he was 16-years-old and on the cover of Sports Illustrated. We placed LeBron on the pedestal long before he did it to himself. Social norms are WAY out the window. Plus, let’s recognize that this supposedly negative PR is not going to hurt LeBron. He could say or do anything short of Stone-Cold-Stunnering Timofey Mozgov on the court and it wouldn’t be as egregious of a mistake as “The Decision.” He’s taken his PR hit. It doesn’t get worse. In fact, maybe this is the greatest move possible for LeBron. He’s not losing any endorsements over this. Not a single cent will be taken from his next contract. Heeling off might be the best move for LeBron at this point. The narrative surrounding him is so negative (at least off the court), at least this time he’s dictating it himself. This entry was posted on June 15, 2015 by Coach Sass in NBA.